A federal judge on Thursday put a stake in the heart of Oracle's big-money lawsuit against Google by ruling that the application programming interfaces (APIs) at issue can't be copyrighted. The decision by US District Court Judge William Alsup came a week after a trial ended with jurors clearing Google of patent and copyright abuse charges leveled by the California business software titan. Jurors ruled that Google violated copyrights owned by Oracle Corp. for the Android mobile platform but were unable to decide on a key point of whether Google's use of the Java software was "fair use" that made it acceptable. Alsup had told the jurors to assume, for the sake of deliberations, that APIs could be copyrighted but reserved for himself the right to make the legal decision in that regard. Oracle's challenge of Google in court over copyrights was an unusual tactic being watched intently in Silicon Valley. In the fast-paced land of Internet innovation, it has been common for software writers to put their own spins on APIs that mini-programs use to "talk" to one another. Oracle argued, to a degree, that it held copyrights to how the APIs worked even if different strings of code were used to orchestrate the tasks. "When there is only one way to express an idea or function, then everyone is free to do so and no one can monopolize that expression," Alsup said in his ruling. "So long as the specific code used to implement a method is different, anyone is free under the Copyright Act to write his or her own code to carry out exactly the same function or specification of any methods used in the Java API." Oracle accused Google of infringing on Java computer programming language patents and copyrights Oracle obtained when it bought Java inventor Sun Microsystems in a $7.4 billion deal in 2009. 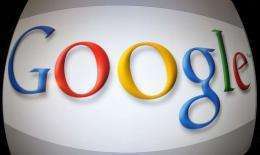 Google denied the claims and said it believes mobile phone makers and other users of its open-source Android operating system are entitled to use the Java technology in dispute. Google unveiled the free Android operating system two years before Oracle bought Sun. Jurors, and now the judge, have sided with Google in the case. This file photo shows Oracle headquarters in Redwood Shores, California. A federal judge put a stake in the heart of Oracle's big-money lawsuit against Google on Thursday by ruling that the application programming interfaces (APIs) at issue can't be copyrighted. "The court's decision upholds the principle that open and interoperable computer languages form an essential basis for software development," Google said in an email response to an AFP inquiry. "It's a good day for collaboration and innovation." Oracle criticized Alsup's ruling and vowed to appeal. 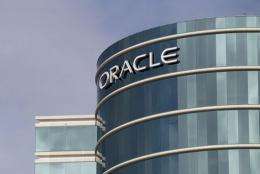 "Oracle is committed to the protection of Java as both a valuable development platform and a valuable intellectual property asset," spokeswoman Deborah Hellinger said in an email statement. "It will vigorously pursue an appeal of this decision in order to maintain that protection." Hellinger contended that Alsup's ruling undermines "protection for innovation and invention" in the United States. Alsup was careful to narrow his ruling to the 37 APIs at issue in Oracle's lawsuit against Google. "This order does not hold that Java API packages are free for all to use without license," Alsup said in a written conclusion to his 41-page decision. "It does not hold that the structure, sequence and organization of all computer programs may be stolen," he continued. "Rather, it holds on the specific facts of this case, the particular elements replicated by Google were free for all to use under the Copyright Act." In a unanimous decision last week, 10 jurors agreed that Oracle had failed to prove its claims that Google infringed on Java software patents in Android operating software for smartphones and tablet computers. Oracle had been seeking billions of dollars in damages from Google based on the copyright and patent claims. The outcome of the trial leaves California-based Oracle eligible for a relative pittance in damages based jurors finding that it misused nine lines of Java code in Android in an inconsequential win for Oracle.